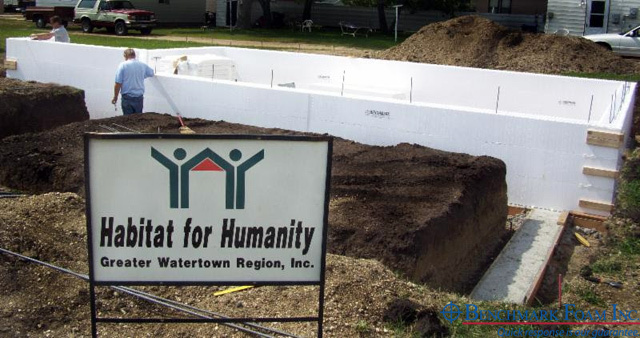 Every year, Benchmark Foam supplies its Insulated Concrete Forms (ICF) to the Watertown Area Habitat for Humanity, among other area chapters, for use in the construction of affordable and decent housing for all. We are proud to offer our high quality, energy efficient products to an organization that helps make a difference in thousands of family lives every year. 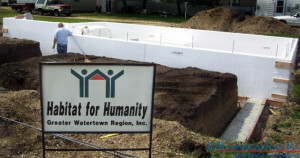 To ensure installation goes smoothly, Benchmark Foam staff often assist the Habitat for Humanity crew and volunteers. By providing technical assistance onsite, we are able to make certain the ICFs will provide a secure and quiet environment for its future homeowners. 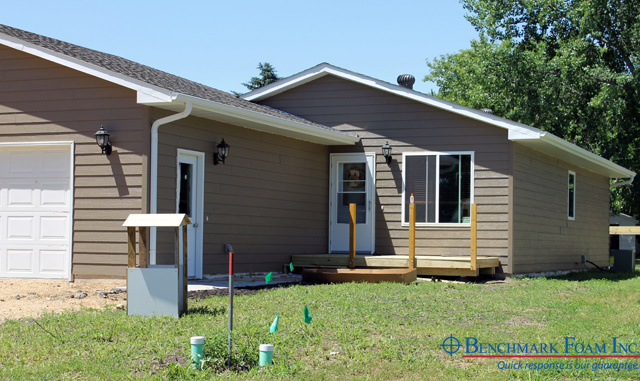 Building with Benchmark ICF is a fast, affordable way to offer homeowners better options for home safety, quiet comfort and energy efficiency. 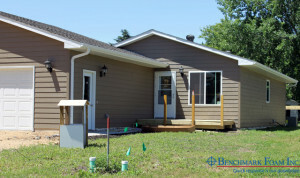 When you choose Benchmark ICF, you receive a superior and versatile product from a Midwestern manufacturer with the only On-Time Guarantee in the industry. Benchmark ICF combines the best in quality, service and value for you and your customers. To learn more, visit www.BenchmarkFoam.com/products/benchmark-insulated-concrete-forms or call us at 800-658-3444 or 605-886-8084.